For others of this name, see Bill Griggs (American football) and William Griggs (disambiguation). Dr William "Bill" Middleton Griggs AM ASM, began his medical career in 1976 as a volunteer paramedic while studying as a medical student. As a paramedic he attended his 100th fatal road crash prior to graduating as a doctor in 1981. Since then he has had a long involvement in the care of the injured and has been involved in caring for the victims of many multiple casualty events, including structure collapses, bombings, bus, train and aircraft crashes. He has completed many hundreds of aeromedical retrievals including a number of maritime helicopter winch rescues. He has also been deployed, as either a Royal Australian Air Force Specialist reservist or as a civilian, to manage evacuations and tend to victims in a number of disasters including both the 2002 and 2005 Bali Bombings, the 2004 Boxing Day tsunami, the crash of Garuda Indonesia Flight 200 in Yogyakarta in 2007, the maritime fire/explosion at Ashmore Reef in 2009 and the Samoan tsunami in 2009. He is considered a world authority on trauma and disaster medicine. In 1989 he invented a surgical instrument and a procedure, now called the "Griggs technique", to perform percutaneous tracheotomy and make an artificial airway for the critically ill and injured. This technique is used worldwide and was used to help Pope John Paul II in February 2005. He has strong interests in road safety and injury prevention. In 2004 he conceived, designed and funded the Roads 2 Survival Program, a community-based young person road safety initiative. Dr Griggs' specialty is trauma and retrieval; he is the Director of Trauma Services and Senior Consultant (Intensive Care, Retrieval Services and Anaesthetics) at Royal Adelaide Hospital. He is Director, Retrieval Coordination for MedSTAR Emergency Medical Retrieval. He is the South Australian State Controller (Health and Medical) for disasters. He is a Clinical Associate Professor at Adelaide University and has previously been a senior lecturer at Griffith University and the University of Otago. He also works for the South Australian Ambulance Service and has been a volunteer with St John Ambulance Australia since the mid-1970s. He was one of the founding members and is a past president of the Australasian Trauma Society. Dr Griggs serves Australia as a Group Captain in the Royal Australian Air Force Specialist Reserve (Medical). He saw active service in the Gulf War attached to the US Navy hospital ship Comfort and the US Navy aircraft carrier Ranger, and was honoured by the United States with a Navy Unit Commendation. In 1991 he deployed to the Gulf War with the Australian Defence Force during Operation Desert Shield and Operation Desert Storm. In 1994 and 1998 he deployed to Bougainville in support of the peace efforts there. In 1999, Dr Griggs was deployed as a civilian to Darwin and East Timor to provide emergency aeromedical evacuation support to the United Nations Emergency Mission in East Timor. In 1999, Dr Griggs was deployed with the Royal Australian Air Force to East Timor as part of INTERFET and was based in Dili, where he worked with the First Field Surgical Team (1FST) and with the Australian Army's 5th Aviation Regiment. In 2002, Dr Griggs played an active role in the Australian medical response to the first Bali Bombings, helping to coordinate the evacuation of those injured in the attack through Darwin to the Major Trauma and Burns Units all around Australia. In 2004, Dr Griggs was on the first Australian military aircraft into Banda Aceh as part of the military response following the Asian Boxing Day tsunami disaster. In 2005, Dr Griggs was involved in the Australian response to the second Bali Bombings, travelling to Bali on the first Australian C-130 and working as part of a RAAF Critical Care Aeromedical Evacuation (AME) Team. In 2007, Dr Griggs deployed to Yogyakarta in Indonesia as part of a RAAF medical response to the crash of Garuda Indonesia Flight 200. In 2009, Dr Griggs deployed to Truscott Airfield in West Australia with the RAAF to assist in the medical evacuation of the victims of the fire/explosion on Suspected Illegal Entry Vessel (SIEV) 36 at Ashmore Reef. In 2009, Dr Griggs led the South Australian Australian Disaster Medical Assistance Team (AUSMAT) which deployed to Samoa following the October 2009 Samoa earthquake and tsunami. Dr Griggs was made a Member of the Order of Australia (AM) in the 2003 Queen's Birthday Honours for service to medicine, particularly through trauma, emergency and care management and education, and critical care and retrieval and in support of the Australian Defence Force. 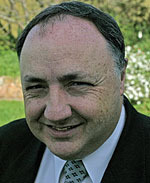 In 2006, Dr Griggs was the recipient of the award of Australian of the Year for South Australia and was a national finalist. In 2006, Dr Griggs was awarded the Keys to the City of Adelaide. 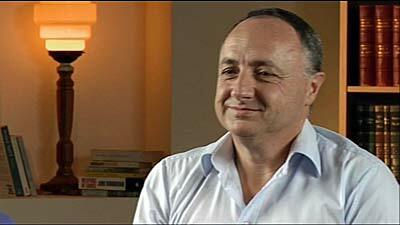 Dr Griggs was awarded the Ambulance Service Medal in the 2009 Queen's Birthday Honours. 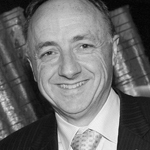 In 2009, Dr Griggs was named the South Australian of the Year for 2009. In 2010, Dr Griggs was chosen to appear on the cover of the 2010/2011 Adelaide White Pages Telephone Directory under the theme "Courageous Australians" as a result of a rescue in which he was involved during 1994. In 2014, Dr Griggs was awarded the degree of Doctor of the University (honoris causa) by the University of Adelaide. Dr Griggs attended Prince Alfred College. He then obtained his MBBS from the University of Adelaide in 1981 and the FFARACS (Anaesthesia - 1986 and Intensive Care - 1989) followed by the FANZCA in 1992, FFICANZCA in 1993 and FJFICM in 2002. He obtained his Post Graduate Diploma in Aviation Medicine from the University of Otago in 2000. He qualified for his MBA from the University of Adelaide in December 2009. Dr Griggs was made a Clinical Associate Professor at the University of Adelaide at the end of 2006. Dr Griggs has written over 70 articles and publications appearing in various journals. This page was last edited on 24 April 2019, at 07:11 (UTC).